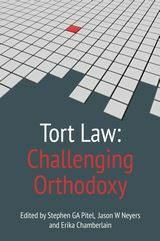 In this book leading scholars from the United Kingdom, the United States and Australia challenge established common law rules and suggest new approaches to both old and emerging problems in tort law. 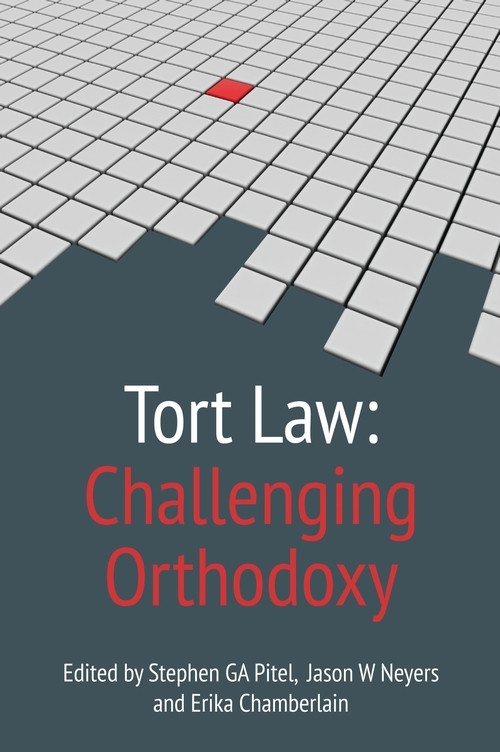 Some of the chapters consider broad issues such as the importance of flexibility over certainty in tort law, connections between tort law and human flourishing and the indirect effects of changes in tort law. 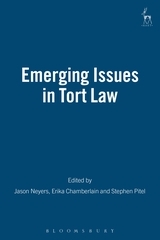 Other chapters engage more specific topics including the role of vindication in tort law, the relationship between criminal law and tort law, the use of epidemiological evidence in analysing causation, accessory liability in tort law, the role of malice in intentional torts and the role of statutes in tort law. They propose new approaches to contributory negligence, emotional distress, loss of a chance, damages for nuisance, the tort of conspiracy and vicarious liability. 10. When is Emotional Distress Harm? 14. 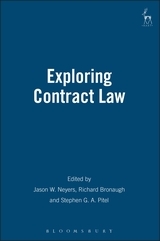 Aid, Abet, Counsel or Procure? Stephen GA Pitel, BA, LLB, LLM, PhD, is a Professor of Law and Goodmans LLP Faculty Fellow in Legal Ethics at Western University. 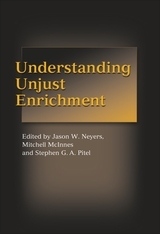 Jason W Neyers, BA, LLB, MST, is a Professor of Law at Western University. Erika Chamberlain, LLB, PhD is an Associate Professor of Law and Associate Dean (Academic) at Western University.